Grateful Dead-inspired Ramble on Rose design, on heathered sport gray Canvas brand t-shirts. 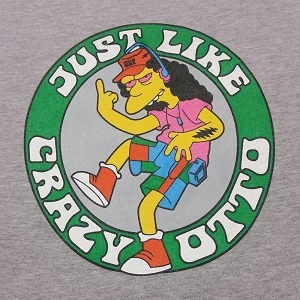 "Crazy Otto," the stoner from everyone's favorite cartoon, is re imagined as a Deadhead, with his finger in the air looking for a miracle! A great "lot style" t!